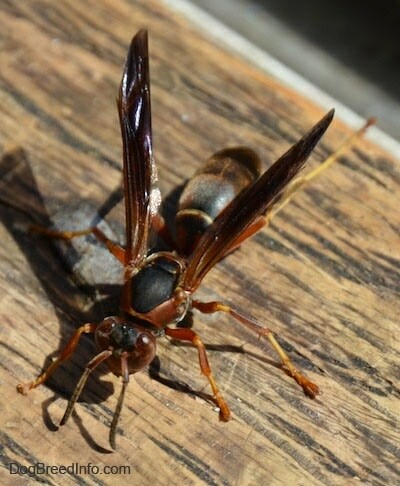 Two wasps (rather, their remains) were found in his stomach and the tissue samples showed that when he swallowed them, they went down fighting, as there were wasp stings in several places at the very back of his tongue, down his throat all the way down his esophagus. The report states that anaphylactic shock from these wasp stings appears to have brought on the chain reaction leading to heart failure. It was also reported that the anaphylactic shock can cause the dog's body temperature to spike very high, very quickly (his at time of death was 109 F), thus leading to the stroke. Please take caution with your pets when wasps and bees are in the area. These little pests can be deadly!